We are all aware of the kind of importance content has when it comes to marketing your stuff. If you are in a dilemma as to how to create the perfect and engaging content, here are the steps that will be your guide. The first step towards creating the top quality content has to be putting in the right kind of research. Until and unless you put in thorough research, you will not be able to get the facts right. When you are putting in the content for a site, it becomes important that the content must be related to the theme of your business. It has to be factual and if it can contain an accurate representation of facts and details, it will serve the right need. So, you should always carry out extensive research in your domain. If needed, visit the site of your competitors and explore the details that they have listed as well. This will help you create content that will be better than what your competitors are offering. The headlines mostly determine the number of people who are going to read your content. You have to devote time to come up with some really catchy headlines. You should devote ample time for the sake of offering catchy headlines. Ideally, your headline should be such that it entices your readers to follow the whole content and explore the details meticulously. It should generate suspense or interest and should be creatively designed. Let us get the facts straight. No one really reads a drab and descriptive piece. Even though you may be narrating something factual, there has to be something actionable in it. The readers should either feel like they got some value from the post or else offer them something to do with the content. Having a clear call to action button ensures that the readers will feel like the content gave them a direction. So, try and have your content aligned in a way that your readers value it rather than find it another piece found easily on the internet. Your content should be so created that it makes you stand out from the crowd. Regardless of what people say, SEO remains the heart of content marketing. You have to worry about the formatting of the content, the paragraph structure, the illustrations and more. However, most of all, you need to ensure that you do not forget SEO. SEO will help you keep your content on the top. What is the use of spending hours and hours of time creating the perfect content, if you get no visitors? It is SEO that will get you traffic and so you will find people reading your content and this can get you sales. Try and focus upon keywords, use back links and even make article submissions as well. Do not forget to make smart use of different tags such that the indexing of your site can be done on the top pages of Google. Use all these strategies and you are sure to succeed in creating impeccable content. Quality content is here to stay and the importance of the creating right content is growing every year. 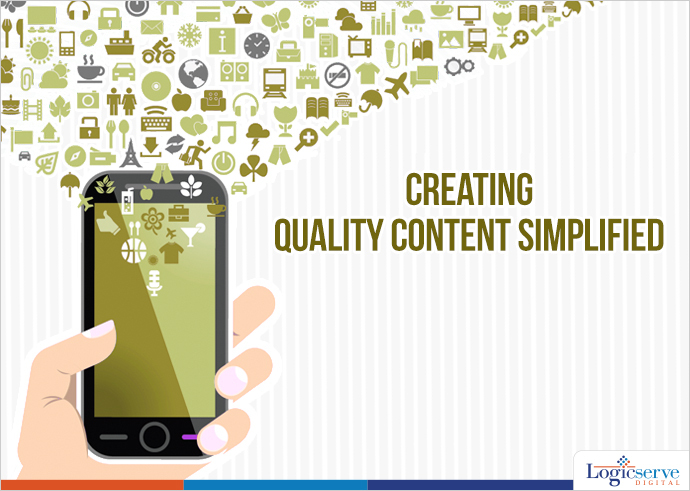 With the right content, you will be able to convey your messages effectively to your target audience.